Super Smash Bros. Ultimate is less than a week away. 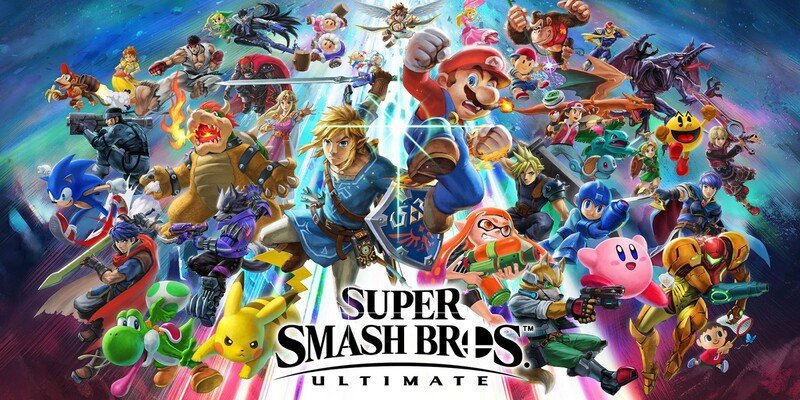 A few copies have been leaked, and Twitter has been littered with players sharing combos, insights and predictions about the competitive aspect of the game. I’ve been playing Smash competitively since 2004, so I’m extremely interested in getting as much information as I can. But as December 7th approaches, I find that what I want the most from this game is the opportunity to play a game with my friends. I miss spending hours with my friends playing games together. We played thousands of matches of Street Fighter 4 during its run. Only one of us was truly a native Street Fighter player, but SF4 had enough appeal to pull us all in to learn the game together, and even drew in some of our friends who had never played fighting games seriously before. We learned what all the fighting games term mean- hit confirm, kara grab, okizeme, reversal. We studied frame data together. I still remember that Ryu’s sweep is -6 on block, meaning that it’s punishable by Chun Li’s sweep. We never won any tournaments. We didn’t travel to majors or get sponsored. We’d go to our local, do okay, and then go out to eat afterwards. It was how we hung out. That’s been lost since Street Fighter 5 was released. Let’s call it what it is: Street Fighter 5 is a bad game. I’m not trying to be pollyannish about 4. It definitely had its problems with set play, vortex and the Revenge Gauge. But SF4 was a masterpiece compared to SF5. And it shows in the fact that almost none of my friends play 5. What I really want from Ultimate, more than combos and a balanced cast and great music, is a common game to play with my friends again. I love Dragon Ball FighterZ, but it’s way less fun to play with random people online than with the people I know. I’ve already taken the day off from work on December 7th to play with my friends all day, so that’s a great sign. I hope it holds us together as the years go forward.